Gradient, Gradation, Fades, Ombre and the like all describe what can be considered one (1) of the Holy Grails of handmade carpet production: The ability to render accurately the subtle nuanced transition from one colour to the next best expressed by the analogy of a sunrise or sunset. 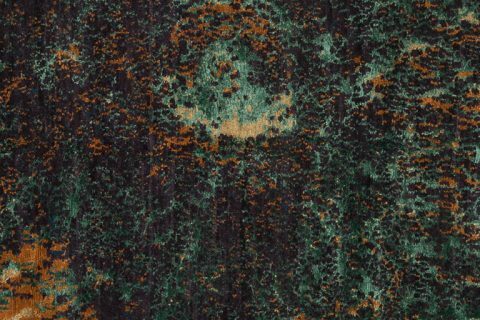 As nature provides creative minds with endless fertile inspiration it is no surprise the rug and carpet industry seeks to mimic the beauty surrounding us all. We even get very, very close on occasion such as with this version of Twilight from Tufenkian. ‘Twilight II’ in colour ‘Sunrise’ from Tufenkian. Image courtesy of Tufenkian. 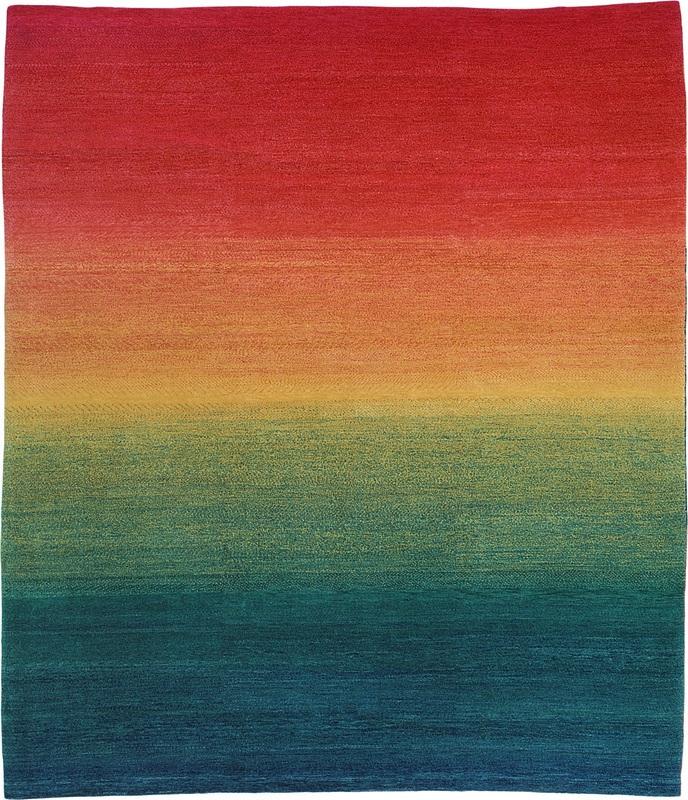 Made of one-hundred percent (100%) wool pile by Tufenkian in Armenia, ‘Twilight II Sunrise’ is obviously inspired by the beauty of colour transition initiated by the rising and setting of the sun and moon, and presents a veritable rainbow of colours. For those seeking a more monochromatic palette, Twilight is also available in a series of tonal gradations such as this inviting and mysterious ‘Forest’ colouration amongst others. ‘Twilight V’ in colour ‘Forest’ from Tufenkian. Image courtesy of Tufenkian. 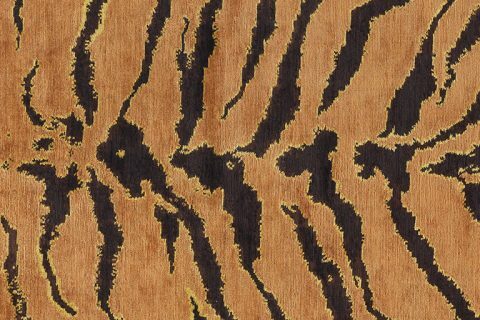 This carpet has the ability to bring very different colours together in an organic and fluid manner, with no readily definable pattern or design. As a consequence it can be introduced into a plethora of design settings ranging from so-called transitional spaces to the modern and even traditional when a strong juxtaposition of style is desired. 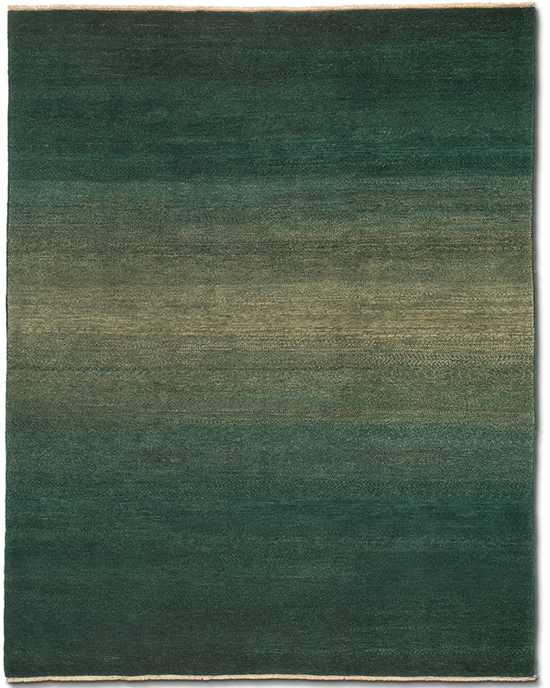 To the Trade: Smooth colour gradations in handmade carpets are difficult due the technical constraints of handmade. In an ideal world striving for perfectly smooth transition, each successive row of knots would be a slightly different hue, value, or intensity depending on the desired effect. This has the potential to introduce such a high number of individually dyed yarn colours as to be unreasonable not to mention prohibitively expensive. As a consequence carpet designers and makers employ various techniques that involve twisting different yarn colours together and alternating yarn colours within the same row of knots all in an effort to ‘trick’ the eye and the brain into perceiving a smooth mix. This is not to say the former cannot be done, but in the balance between cost and desired effect the latter is most often employed. Treating a carpet such as this solely as one would broadloom is an amateurish mistake that fails to acknowledge the sophistication of ‘simple’ handmade carpets – gradations and solid single colours for example. Such carpets derive much of their in situ beauty through the use of rich colour offset by the inherent imperfections and variations of handmade. With expert use of colour theory, wavering between high and low contrast with other design elements, carpets such as these can serve to define an architectural space just as much as they can impart that unified and foundational look one associates with ubiquitous single colour broadloom, albeit in a far more luxurious manner. Previous Post:Iranian Carpet Embargo – The End!